Current Projects, the Gospel Near, Far, & Everywhere | Spread Truth creates digital tools and resources to share the beauty of the Gospel story. God’s Story changes everything. That’s why we are preparing Christians to share this Good News with everyone, everywhere. A gospel-sharing animated children’s film designed to show the beauty of God’s Story in an engaging way. With The Story Maker, children all over the world will be able to watch, hear, and share the gospel in their own language. Current research found that “two out of three born again Christians (64%) made that commitment to Christ before their 18th birthday.”1 That’s why it’s crucial to reach children with gospel hope. Children of all ages must hear the gospel as well as be equipped to share it. Your gifts are making that possible through our Children’s Outreach Initiative, which will be greatly expanded through a tool that’s nearly complete! 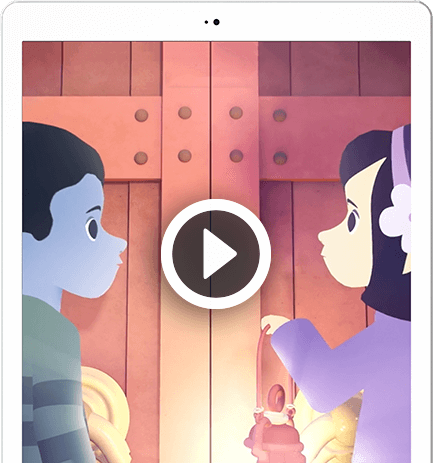 The Story Maker is an animated film that helps parents and children clearly understand and articulate the biblical framework of God’s Story. There are plenty of Bible stories out there—but many children don’t realize that all of those stories are connected together as one big story that points to Jesus. The Story Maker explains the overarching narrative of Creation, Fall, Rescue, and Restoration in a way that’s unexpected and incredibly engaging. The Story Maker will take kids on a journey through the workshop and reveal how it all began, what went wrong, God’s rescue plan, and the total restoration of creation that’s to come. After watching the film, children will be able to walk through the gospel story with friends, family members, and neighbors. When we know God’s story, it changes everything: who we are, what we want, and how we live. Our prayer is that it will be used alongside The Story Film, giving parents and children the same biblical framework. The project is set for release in late November and will initially be available in English. An app to reach those with limited or no Internet access or those living in closed countries that deny Internet access. It will include The Story film, Bible text and other resources customized to each region and language. An offline app to reach those with limited or no Internet access. We at Spread Truth feel called to be a part of the handful of organizations that are trying to reach the ends of the earth with the Gospel story. 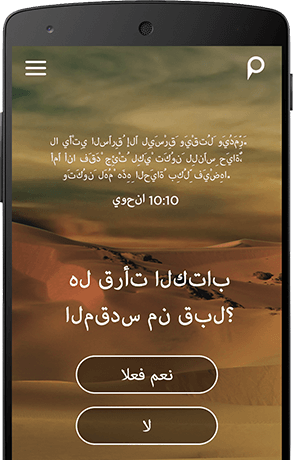 Now that Android phones/devices are used in many people groups aroudn the world, we want to provide a free app that introduces them to Scripture and rescue in Jesus, and gives them full digital access to a Bible in their own language. There is an incredible need for Jesus in places that have little to no Internet activity or countries that do have connectivity but have excessive censorship. This app is built to be offline, never in an app store, and it's designed to be transferred from phone to phone via bluetooth. We’re also developing security features to insure the safety of those using the app in closed countries. This is truly #GOSPELeverywhere. A new animated children’s film to share the Gospel story. KEEP IN TOUCH. WE WOULD LOVE TO HEAR FROM YOU. Swing by, 306 N Main St, Bloomington, IL 61701.